Living an alternative lifestyle has become a world-wide movement. More and more people want smaller spaces, more simple living, less clutter, and most of all to be mobile, to be able to take their homes on the road. 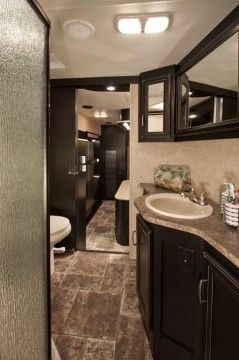 A tiny house on a trailer is one popular way to accomplish this, but no alternative is as popular as the RV. 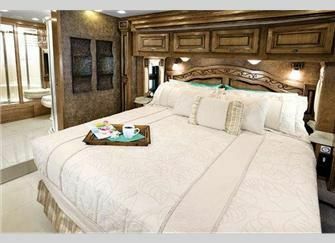 Many people are reluctant to give up their creature comforts though, and as a result these folks go for bigger and more luxurious RV’s. 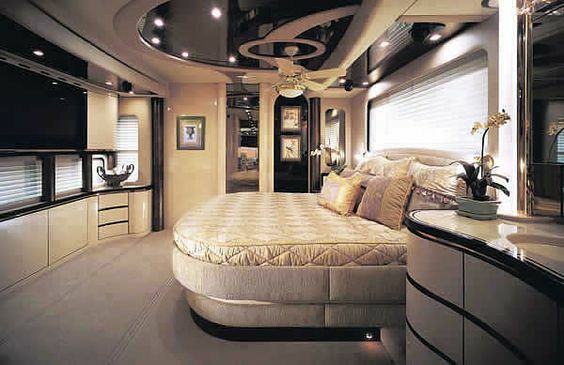 If you have the money to spend, there is no shortage of luxury RV’s, and they can be as opulent as you wish them to be. You need not give up any of the modern conveniences to have a home to go. Your communal living space can be almost as large and comfy as in a traditional home. You can make your bathroom a spa to retreat to to pamper yourself. Your bedroom can be your own personal haven where you can unwind and rejuvenate. 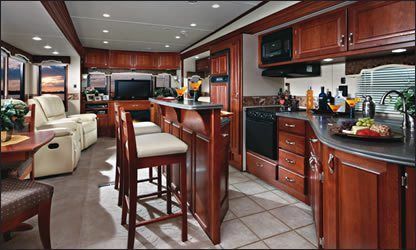 Your kitchen can have state-of-the-art appliances and be the hub of your home and your RV can be large enough for overnight guests and all types of entertaining. 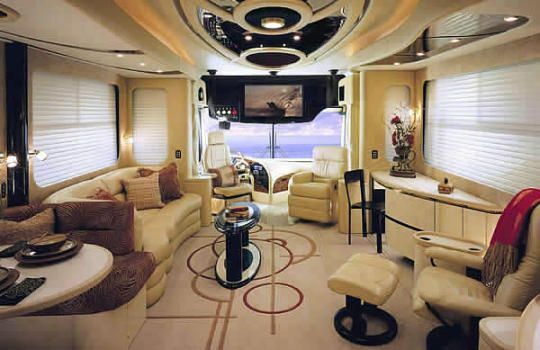 Sit outside with your friends and family to enjoy the views you choose, or in inclement weather be cozy and dry inside your luxury RV. The images in our gallery are from Pinterest and can be enlarged on our site. 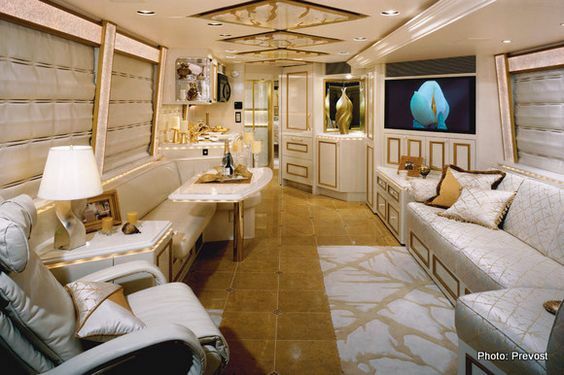 The interiors are meant to excite and inspire, and give you some beautiful ideas for interior design. Source material is also courtesy of Pinterest.